Powering a Classroom in a Box. To grant children in remote African villages access to a modern education, TEAGUE partnered with BRCK to develop the Kio Kit: a rugged yet simple-to-use digital classroom that houses and powers 40+ tablets. Schools everywhere benefit from the tools and technologies of the digital age. But delivering those sometimes vital education assets to the schools of rural Africa can be complicated, with hurdles like extreme weather and challenging infrastructure often barricading the way. 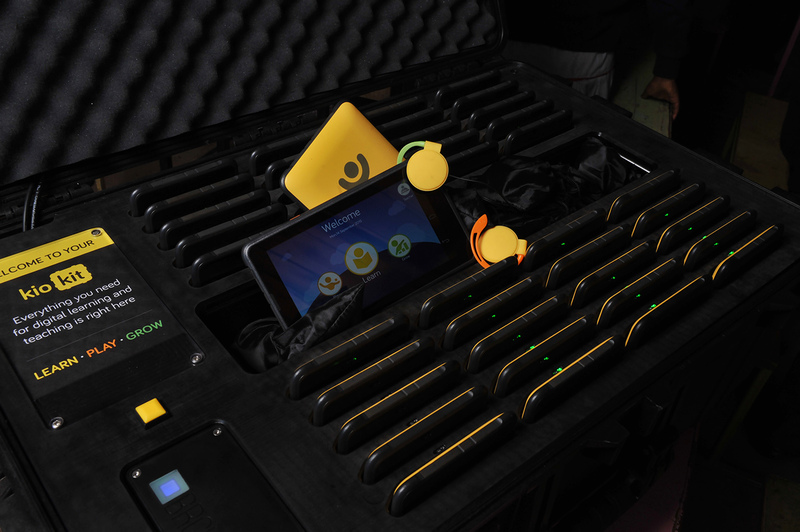 In an effort to help children in remote areas of Africa have access to the same information and tools as other kids across the world, TEAGUE partnered with BRCK to develop the Kio Kit: ruggedized classroom-in-a-box that houses and powers 40+ Kio Tablets, designed to help students across the continent further their education. Some Brains. And Some Brawn. The BRCK cellular backhaul Wi-Fi router was developed specifically for the unique conditions of rural Africa. 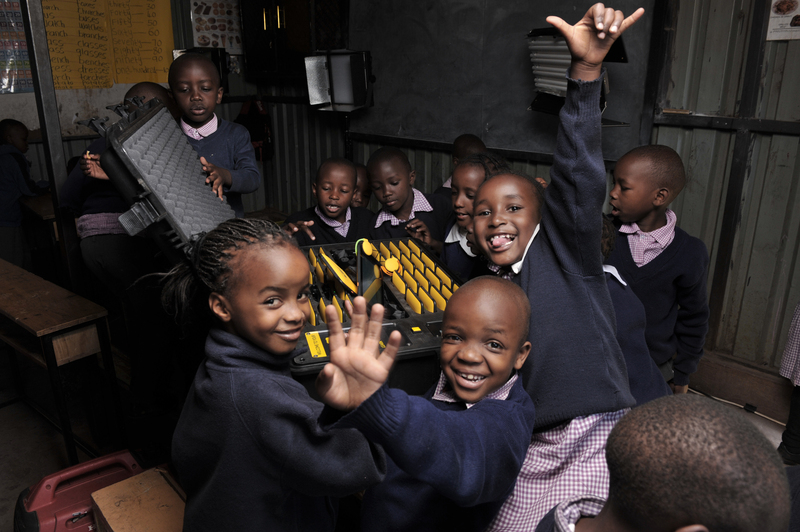 Paired with tablet computers, the BRCK connects kids in the most remote villages to the same information and learning tools available to kids in any city. That’s the magic of Kio Kit: a classroom in a box with 40 tablets and a central connection point and hub. But charging all those tablets and keeping them safe from weather, theft, and the sometimes less-than-smooth rural roads while being transported between villages and classrooms requires some smart—and tough—design. TEAGUE’s designers and engineers started with a standard Pelican case and, working from the outside in, customized each digital and physical detail. The end result? A durable, weatherproof, and powerful case ready to handle delivery of Kio Kits to even the most remote areas of Africa. Hacking Our Way to One Button. At the beginning of our design sprint which focused on creating six prototypes for the Kio Kit’s case, TEAGUE set a clear goal: one-button operation. With a classroom full of children to worry about, our team wanted to make access to Kio Kit as simple as possible for teachers to use. Because of this, the entire platform—with all 40 tablets—can be powered on and off with the simple push of a single button. A truly self-sufficient classroom in a box. Upon opening the Kio Kit, teachers have a fully-functioning digital classroom, ready to go, in under one minute. Designed for off-grid or powerless environments, Kio Kits contain eight hours of battery life, allowing for a full school day. It can then be recharged either by mains or solar power. Rugged, water resistant, and self-sufficient, the Kio Kit is currently on display until May 2019 at the Bill & Melinda Gates Foundation Discovery Center as part of Designing with the 90%, an exhibition highlighting efforts of designers around the world to develop affordable and sustainable solutions for some of the world’s most marginalized communities. 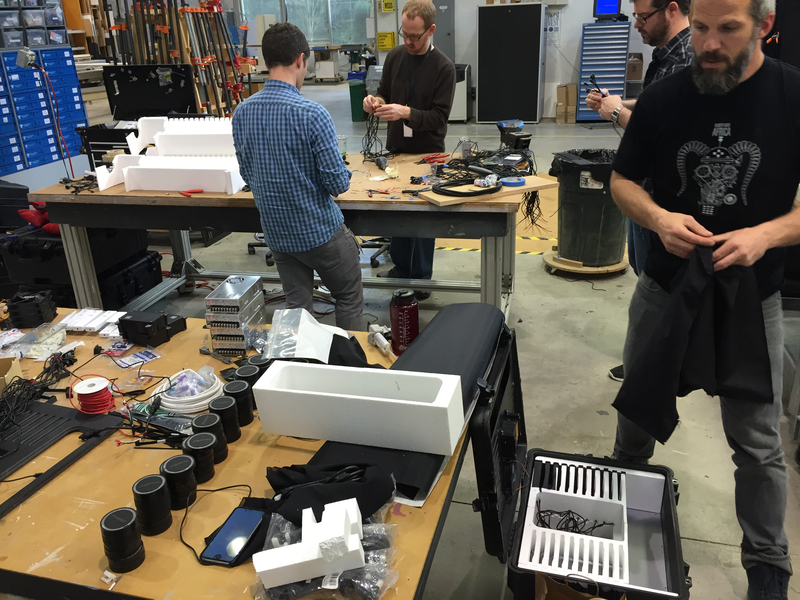 Want to learn more about the creation of Kio Kit? Get in touch with the team behind it at hello@teague.com.